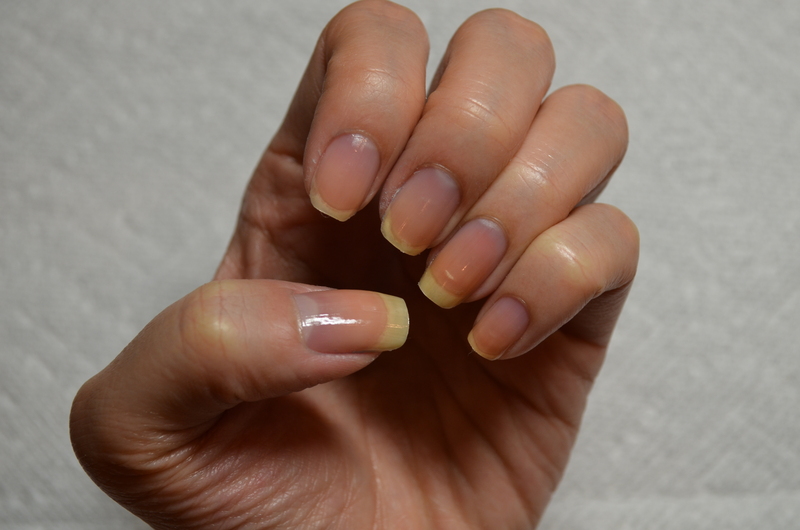 Step 1: Apply Base Coat (OPI Natural Nail Base Coat) to protect your natural nail. 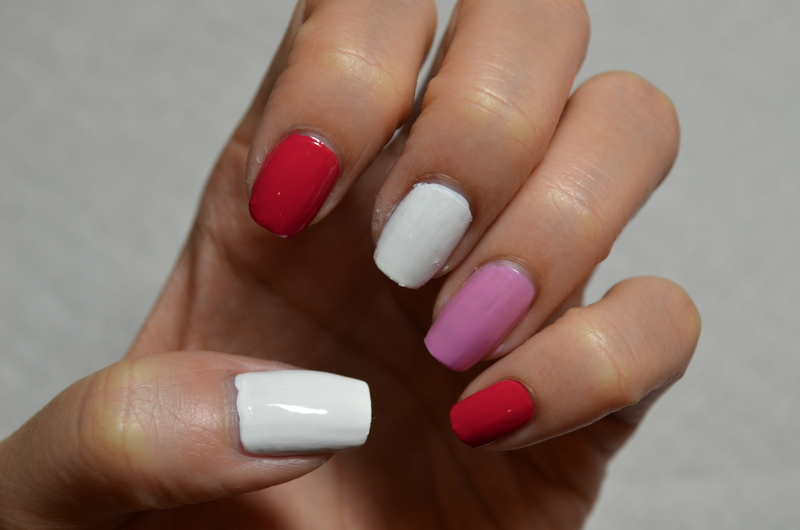 Step 2: Apply two coats of white (Alpine Snow by OPI) on thumb and middle finger, two coats of magenta (Crazy for Chic by L’Oreal) on index finger and pinky, and two coats of light pink (Butterfly Kisses by L’Oreal) on the ring finger. 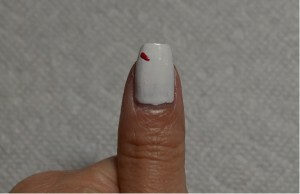 Step 3: Draw the floating hearts on thumb and middle finger using a magenta (Crazy for Chic by L’Oreal) nail polish. 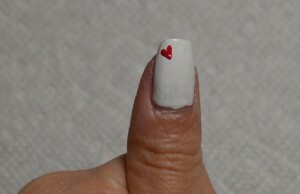 It is super simple to draw the hearts. 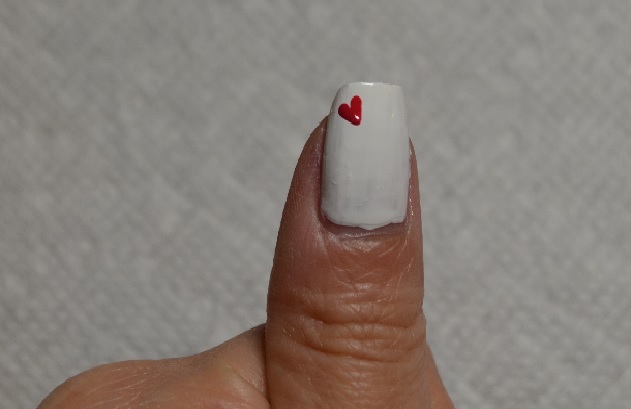 All you need to do is use the back of a bobby pin and drag a short line on one side and drag another short line on the other side to create the heart. 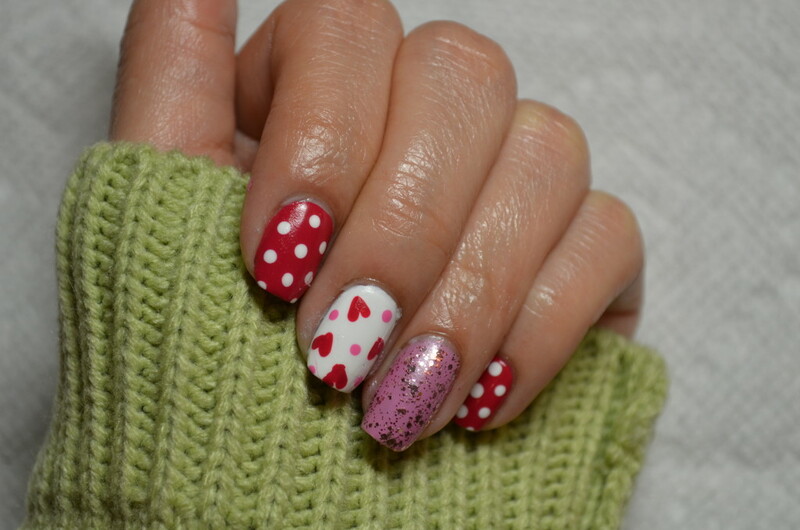 Just randomly draw those hearts on your nails. Step 4: Use the back of the bobby pin to dot white dots onto the index and ring fingers. 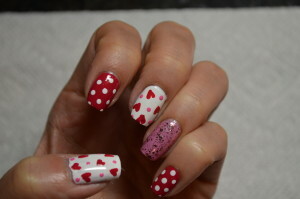 Step 5: Again, use the back of the bobby pin to dot pink dots onto the empty spaces between the hearts. Apply a pink glittery (A Cut Above by Essie) polish onto the ring finger. Step 6: Wait for the design to completely dry then put on a fast drying top coat (Seche Vite) to seal in your design and add a beautiful shine. Then you are done! Thank you very much for reading! 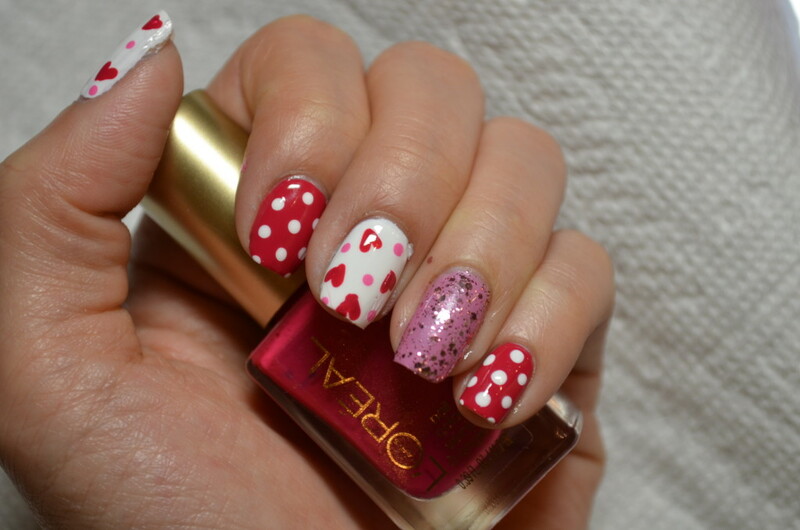 I will come up with another Valentine’s Day theme design next week so stay tuned! Don’t forget to like my GlitterMommy Facebook Page and follow me on Instagram @GlitterMommy_Official. Be sure to share your re-creation with me either on facebook or instagram by hashtagging #glittermommynailart. Good luck and goodnight everyone!